Apple kept the promise and opened the source code developed in the programming language Swift. That forced the company to take this step? About it told the Vice-President of software development Craig Federighi, who in honor of this event, invited to a few interviews for The Next Web and Ars Technica. 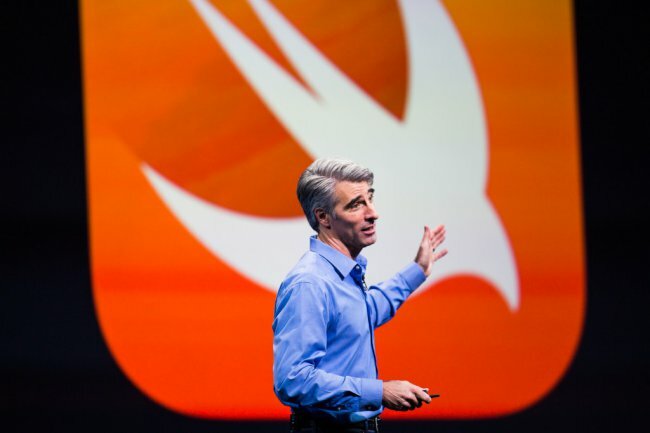 In an interview with The Next Web Craig Federighi shared his belief that Swift will become one of the leading programming languages that will be highly valued by developers for its flexibility, security and simplicity. He also said that developers should not worry about the future in Objective C. the Apple will continue to support the language needs of companies and developers, but Federighi expects that new developers should first pay attention to Swift. The openness of Swift will help developers to learn all about the language and simplify its study. Moreover, open source Swift will be available for teaching. In the Apple expect that professors and teachers will turn their attention to the language, knowledge which they can give to the students. Finally, another reason Apple opened the source code of Swift, is the desire to interest developers in the development language. Craig Federighi said that with assistance of the developers were born the changes introduced in Swift 2.0. Apple will be able to contribute with the developers more closely, due to the openness of Swift.